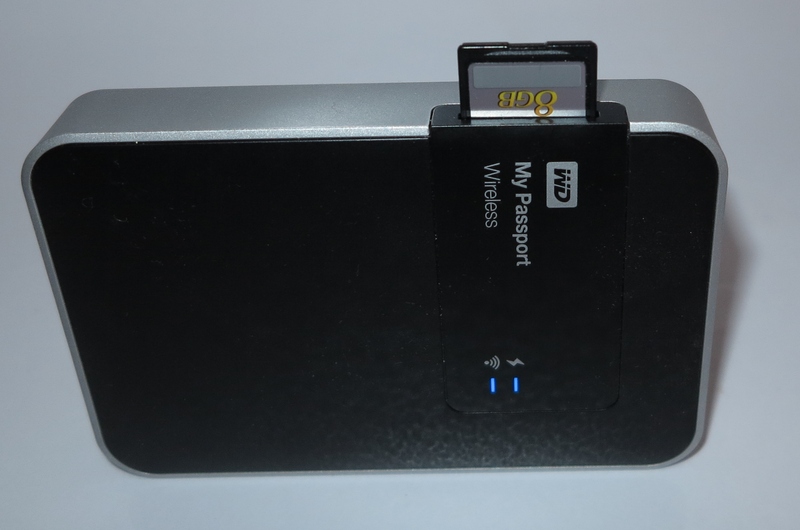 I am reviewing the Western Digital MyPassport Wireless mobile network-attached storage which I have found to be “above the ordinary” when it comes to this class of device. Typically, most of these devices are to work as their own network to allow users to pick up or drop off files normally held on their mobile devices and, in most cases, that is all when it comes to functionality. If you intended to transfer files to or from a regular computer that runs Windows, Mac OS X or Linux, you have to tether these devices to the computer via USB. 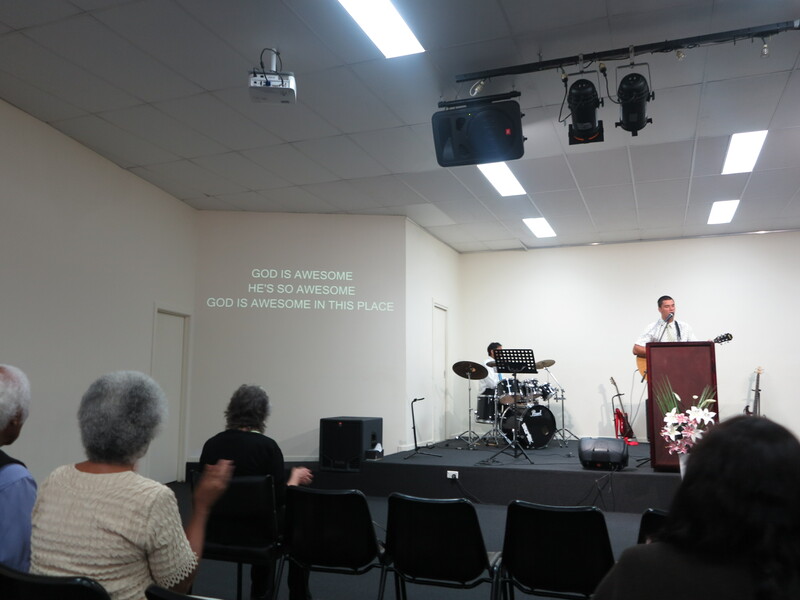 Read on about how this can do more for you compared to most of these devices. The WD MyPassport Wireless’s battery is charged through a USB “sync-and-charge” cable that works with a proprietary connection on one end and USB plug on other end. This also is used to copy data to and from the hard disk as if it is a portable USB hard disk. You can set the WD MyPassport Wireless mobile NAS without the need for client software by linking your regular or mobile computer to the device’s “MyPassport” ESSID and logging in to the “MyPassport” Webpage to configure it. iOS and Android users can configure it using the WD MyCloud mobile-platform app and this also serves as a way of transferring data between the mobile device and the NAS. 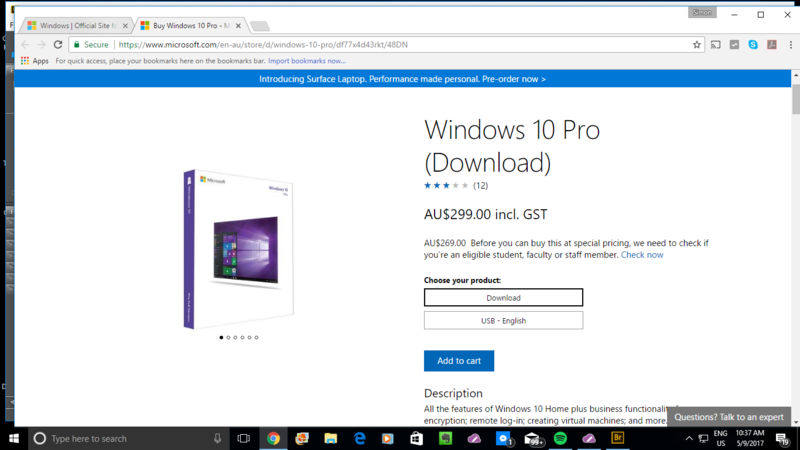 When you plug this device in to your computer, it shows up on Windows as a single hard disk like most of the small external hard disks. 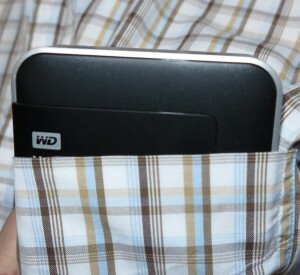 It can even be plugged in to a computer’s USB 3.0 port and take advantage of the high bandwidth that it offers. It most likely won’t work well with devices like printers, routers or smart TVs that have a USB port for connecting an external hard disk due to the power requirement that it has. Here, you have the ability to create a user-defined ESSID or device name or have it work as a bridge between an existing Wi-Fi network and the mobile device. 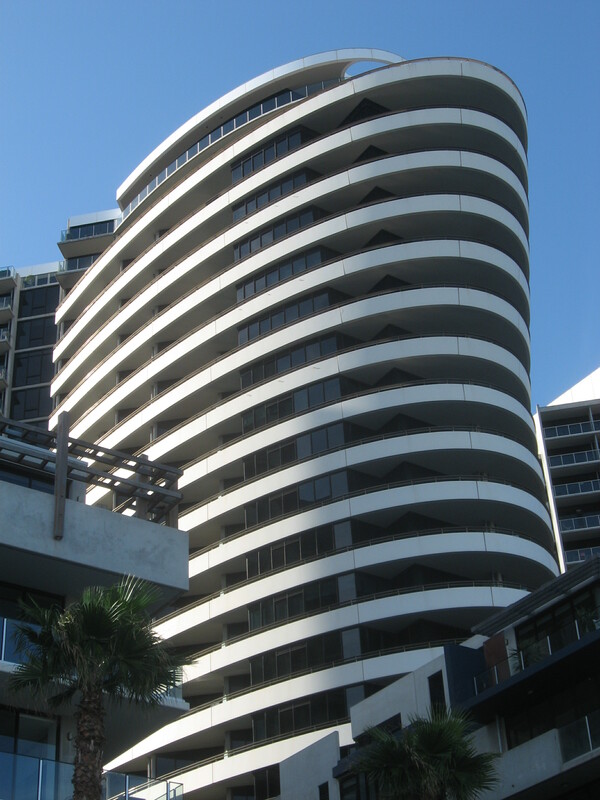 This latter functionality can be set up in a “private manner” if the other network is a public-access Wi-Fi hotspot like what your hotel provides. 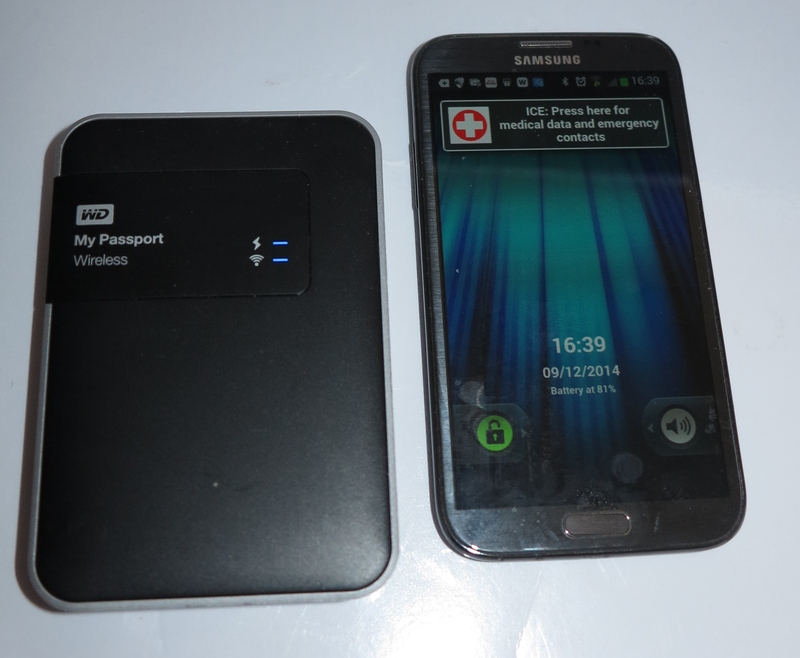 I see the WD MyPassport Wireless as a highly-capable mobile NAS in its own right. It can be a network bridge between another Wi-Fi network like home network or Wi-Fi hotspot. This even includes the ability to clone a device’s MAC address so you can share hotel-based Wi-Fi Internet which is regulated or accounted by device amongst multiple devices. As well, when it works as a bridge, you can set it to serve files to both the local and remote Wi-Fi segments which would earn its keep with your home or small-business network. 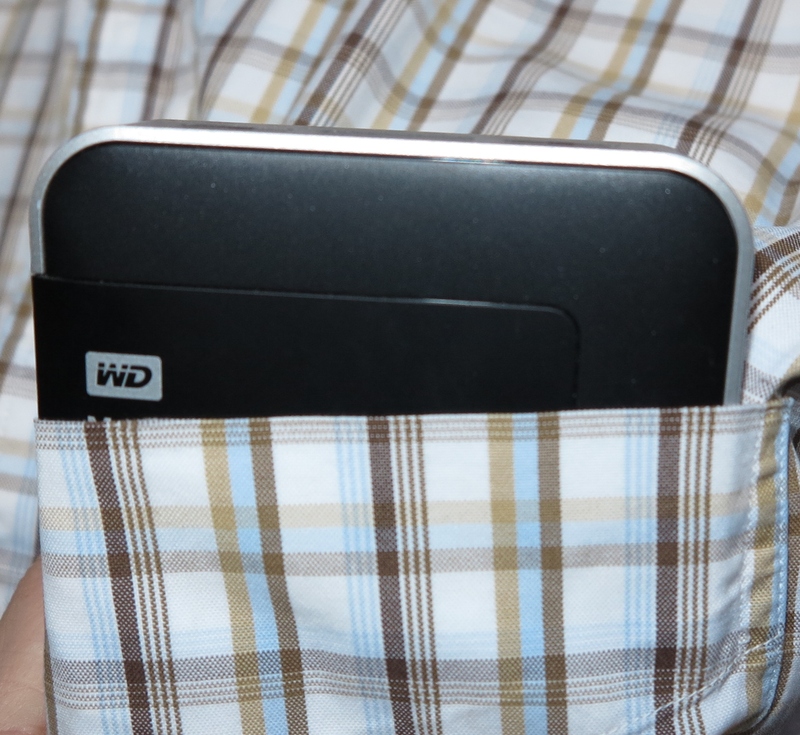 There is an SD card slot so you can transfer data from SD cards to the NAS at the touch of a button. The classic scenario would be to copy pictures from your camera or camcorder to this mobile NAS to “clear space” for more photography and back up the images and footage you have taken. This is a bonus with the ability to view the images or video “rushes” on a DLNA-capable TV that exists on the network or “work on” what you have taken using your laptop computer. Another feature that I so love is the fact that the WD MyPassport Wireless is a capable DLNA Media Server which is something that one of Sony’s mobile NAS units can do. The server software indexes all folders on the hard disk for media and can serve this media to its own access point or the network it is a client of in the case of a home network. I have tried this for myself by “fronting” it to the home network and pulling up WD’s demo videos that were on the hard disk on the household’s Samsung DLNA-capable Smart TV. These clips played through in a very stable manner. 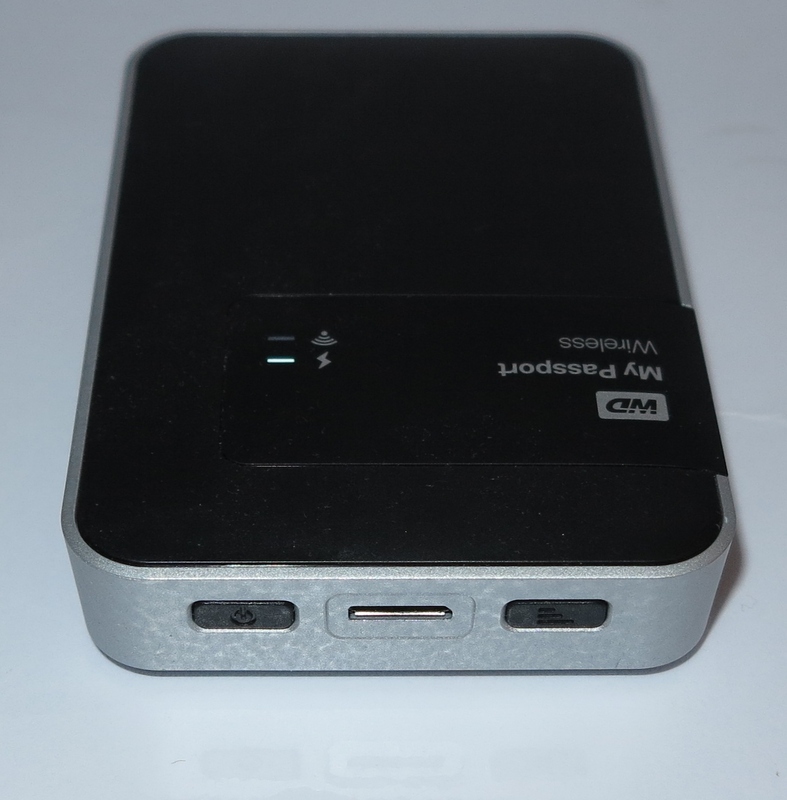 This makes the WD MyPassport Wireless as a device to “BYO” video content to show on a smart TV or play the latest tunes on your friend’s DLNA-capable music system for that party. I performed a file-by-file transfer of the music I have on my smartphone in order to set it up for a DLNA network media test. There was very little noise through file transfer and the unit wasn’t demanding much of its battery power through this transfer when both devices were close together and working with its own access point. As for DLNA, it streamed the demo video clips smoothly without dropping out when I had it connected to the above-mentioned Smart TV via the home network. 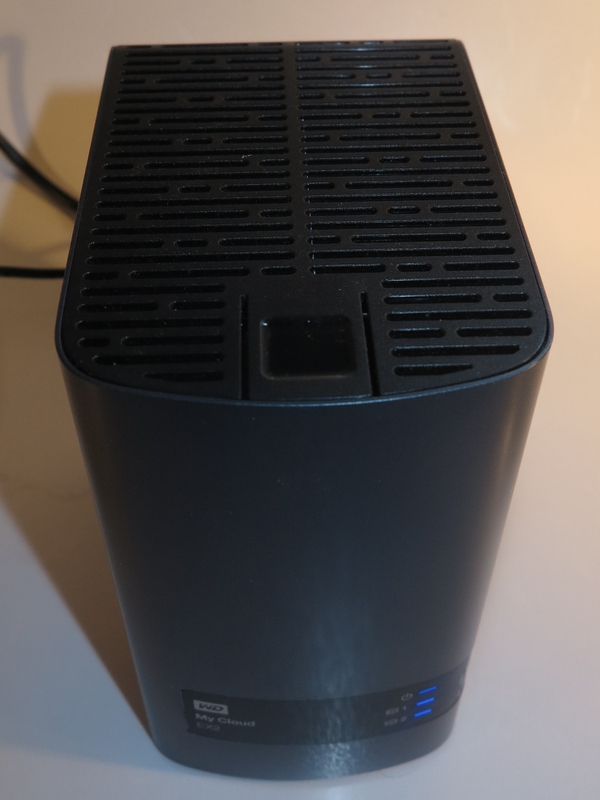 Here, the NAS was part of the home network’s Wi-Fi segment and the TV was connected to the router via a HomePlug AV segment and this yielded the smooth performance. 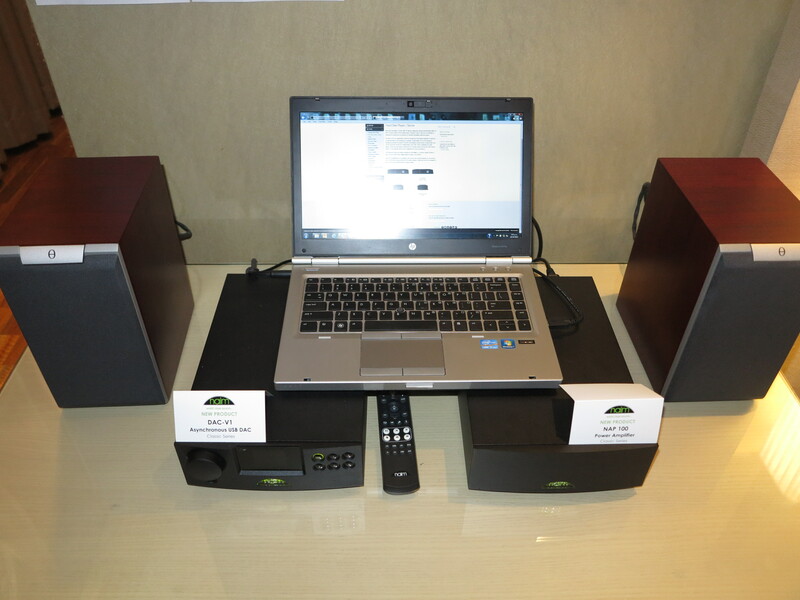 I tried it with music when using an Internet radio that had UPnP AV functionality and having the system with both devices on the same Wi-Fi segment with the radio located at the fringe of the segment. Here, there were some jitter issues coming about when playing the content. It works as best as the network would allow as long as you have the NAS able to pick up a strong signal. WD could use a standard microUSB connection with full On-The-Go abilities similar to what newer Android phones are equipped with for the device’s power and data transfer. This could let WD provide an accessory Ethernet adaptor for “walk-up” Ethernet connectivity or to provide an expansion module with a built-in power supply and Gigabit Ethernet socket for connection to existing home and business networks. Another feature that could augment this device would be to have a micro-HDMI socket with HDMI-CEC functionality. This could allow you to show images and footage on a large-screen TV using its remote control or a smartphone running a control app to select the content. 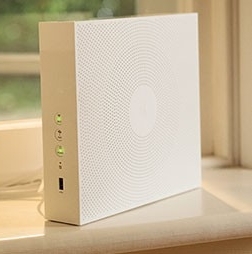 The Wi-Fi functionality could be improved with the ability to set up multiple network profiles so you can choose how this device behaves when connected with particular networks you have used. These could be saved by a user-defined name with the network’s ESSID as the default identifier. Here, each network could have settings like “request to clone MAC”, “share files to network” amongst other options. 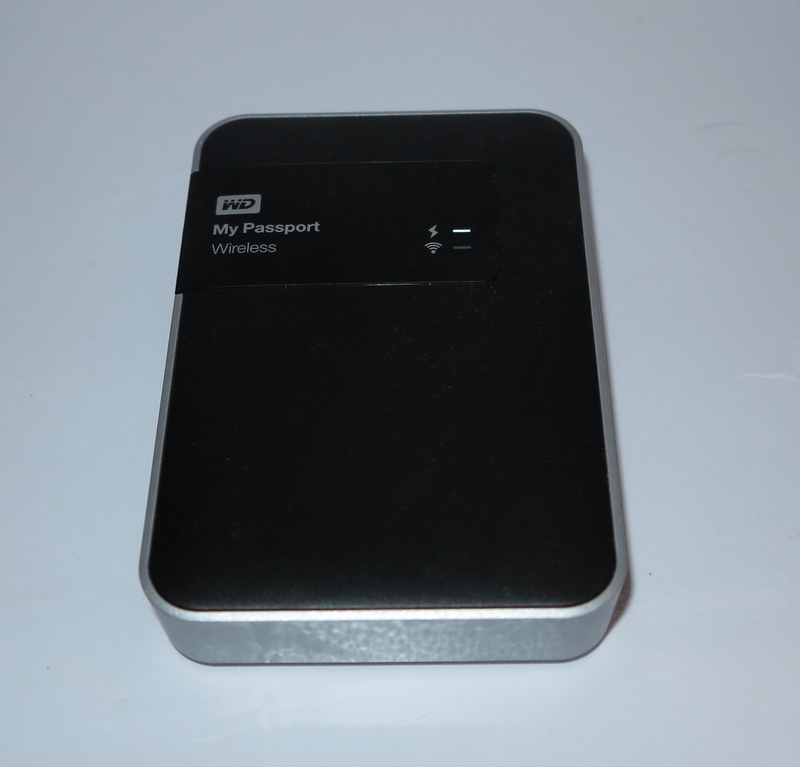 Like a lot of wireless NAS units on the market, the WD MyPassport Wireless could benefit from SMB/CIFS-based file sharing so as to allow the same kind of file navigation that you could do with most desktop NAS units when you use most regular-computer operating systems. 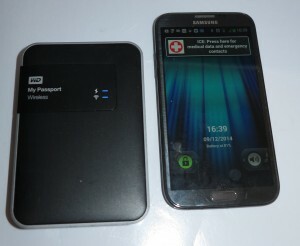 From my experience with the WD MyPassport Wireless mobile NAS, I do see it as a very capable portable NAS unit. This is more so for those of us who do a lot of digital photography and video work, or want to use this to take our favourite media with us, including play it at a friend’s house. It is due to use of an SD card slot for quick transfer of digital images, the ability to be set up to serve files to a home network or its own access point as well as being a DLNA-compliant media server. These features would play in to the hands of someone like a wedding or news photographer who may want to take a lot of pictures during their shoot and “dump” them to this device. Then they would be able to show the pictures to the lucky couple for them to choose for the wedding album or to show to the participants of a news story to, for example, elicit more commentary.